Ever since the Brady handgun violence prevention act was initially signed into law by President Bill Clinton more than 20 years ago, its effects have been widely debated by both gun control groups and firearms supporters across the United States. But what has actually changed since the Brady handgun control act was first introduced? Has the bill been successful in reducing the number of firearm-related deaths reported every year in America? Well, it’s influenced some aspects of how firearms are being sold, but it may not have been as effective as you might think. What is the Brady Handgun Control Act? First of all, in order to understand how the Brady act affects gun owners and federally licensed firearm retailers alike, you need to understand what it is and what it does exactly. The Brady handgun violence prevention act, as it is officially called, requires licensed firearm retailers to run federal background checks on firearm buyers in the U.S. and to impose a five-day waiting period on these buyers before completing the sale. The act was named after James Brady, a White House press secretary during the Ronald Reagan administration. Brady became a gun control advocate after being shot during a failed assassination attempt aimed at President Ronald Reagan in 1981. John Hinckley, the shooter, had purchased the gun he used in the assassination attempt from a pawn shop and was later found to have a history of mental illness. The Brady Act and its effectiveness in preventing unlicensed gun sales and lowering gun violence rates have been called into question several times and they have been the subject of public debate ever since the bill was first signed into law more than two decades ago. Its purpose is to ensure gun purchasers do not have a history of mental illness or criminal activity in order to prevent potential crimes. But pro-gun groups such as the National Rifle Association (NRA) have explained that background checks don’t necessarily help with preventing gun violence. The reasons that the NRA has given for the bill’s failure to prevent handgun violence are based on the many discrepancies that exist in how the bill is being enforced in different states. First of all, regardless of how you feel about gun control, you can’t help but notice that the Brady Act doesn’t affect every state in the same way and that the restrictions and regulations that apply to licensed firearm retailers and to firearm owners vary widely across the U.S and that there are differences in gun laws by state. The NRA has shown that the Act’s five-day waiting period has not applied to several states where crime rates are high because 18 states and D.C. were automatically exempt from the Act when it was first passed in 1993 and that these states accounted for 63% of violent crimes taking place at the time. The NRA has also cited examples of states such as California, which had high murder rates despite longer waiting periods for gun purchases. Looking at the situation from a different perspective, you could argue that the mandatory background checks prevent many guns from being sold to potentially dangerous individuals and that this automatically leads to fewer crimes. While nobody can say for sure if these checks prevent crimes or not, it seems that the number of firearm purchases that are denied because of Brady Act enforced background checks is quite low. Since the NICS system was first set up in 1998 and up to 2014, statistics show that only 0.5 percent of attempted firearm purchases were blocked because of a failure to pass the NICS check. 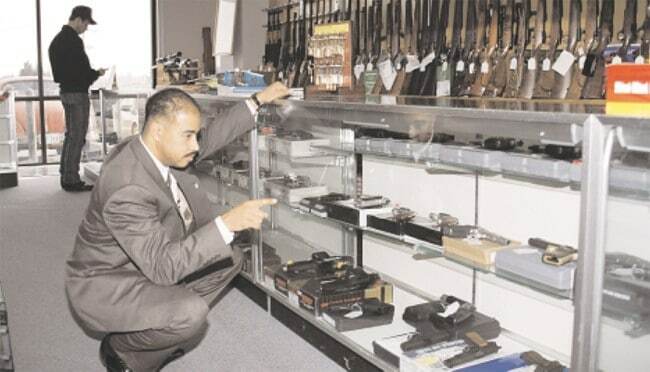 The Brady Campaign is still arguing that a small percentage of federally licensed firearms retailers are responsible for a large part of the gun-related crimes that do take place because they choose to conduct their business in an amoral way and encourage “straw” purchases which lead to legally bought firearms being later used for illegal activities. According to a video released by the Brady Campaign only 1 percent of firearm retailers are responsible for selling 60 percent of the guns that are used to commit crimes across the United States. They claim that these firearm dealers are the “bad apples” responsible for causing high crime rates when it comes to gun-related violence and increased efforts must be made to hold them accountable for their actions. While nobody can deny that there are some gun dealers out there that are willing to conduct “straw” transactions, people can often forget the fact that most federally licensed firearm retailers comply with government enforced gun laws and have regulatory systems in place for any firearm purchase that they approve. In theory it sounds great to force “bad apples” to take accountability for the illegal activities that they take part in or help facilitate. However, one can’t fail to wonder whether the method the Brady Campaign is using to identify these “bad apple” firearm dealers is the right one. Judging if a licensed firearms retailer is properly regulating gun purchases or not by only focusing on how many crimes are linked to the firearms sold by that retailer is a logical error in itself, because there are several other factors that impact that number. A firearms retailer might not be doing anything wrong and still have a high number of gun purchases linked to criminal activity later on because of several other reasons. The first obvious problem is that not every retailer sells the same number of guns. If a firearms dealer sells a higher number of guns every year, the likelihood that more of the guns he has sold will end up being used in criminal activity rises, while a dealer who sells fewer guns will automatically have a lower number of gun purchases linked to gun-related crimes. Factor in the cases of guns that are bought by law-abiding citizens and are later stolen and used to commit crimes, as well as the crime rates that vary from one area to another, and you’ll see how much that number can change. So while nobody can claim that the Brady bill has the potential of preventing some gun crimes from being committed, it’s clear that it doesn’t work the same way all across the country and that, in many cases where extensive background checks are being performed by legitimate firearms retailers, high gun-related crime rates are still recorded, despite the firearm dealers operating in accordance with federal gun laws. It’s easy to go into panic mode when it comes to guns and it’s even easier to get distracted by things like Bernie Sanders’ voting record on gun control bills, but the truth is that even when gun control laws are passed and enforced, they might still not work and can end up restricting people’s freedom without actually making a significant contribution to the improvement of their safety. 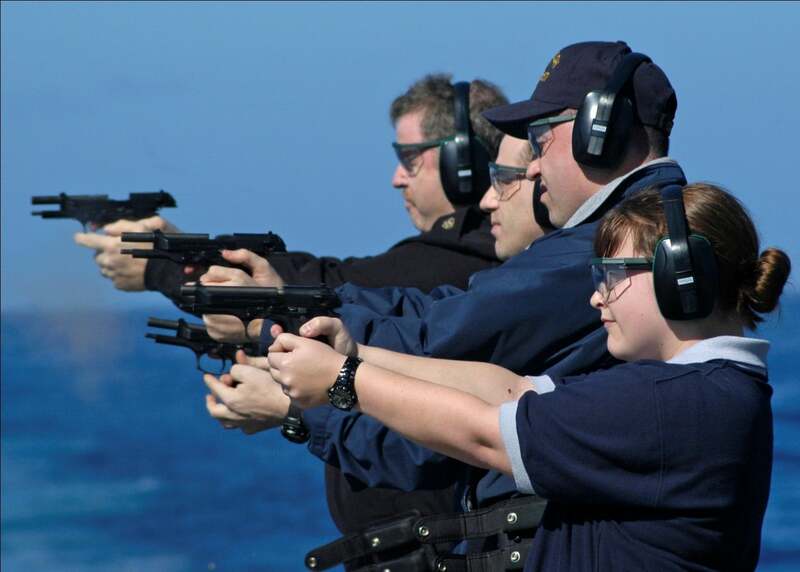 Hey Buddy!, I found this information for you: "Understanding the Brady Handgun Control Act". Here is the website link: https://thegunrights.com/brady-handgun-control-act/. Thank you.